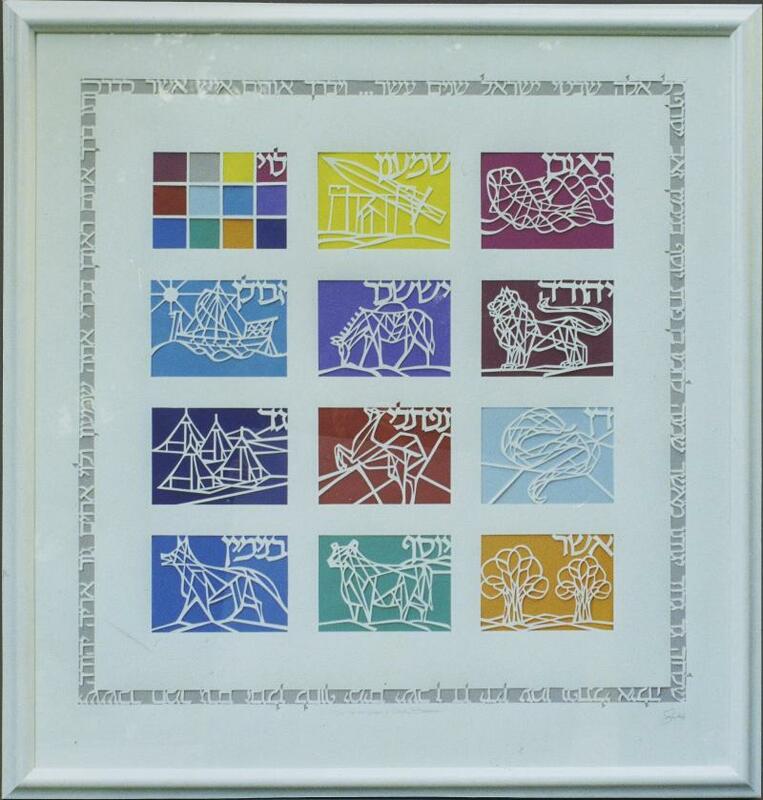 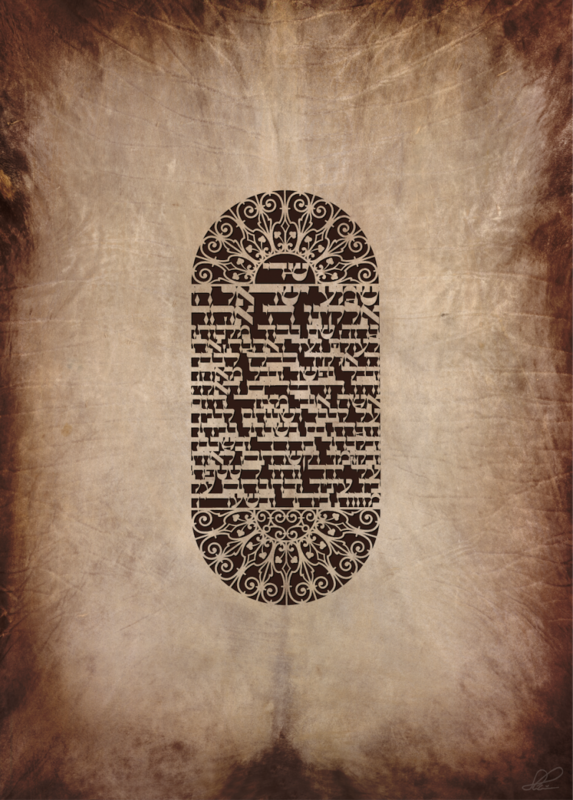 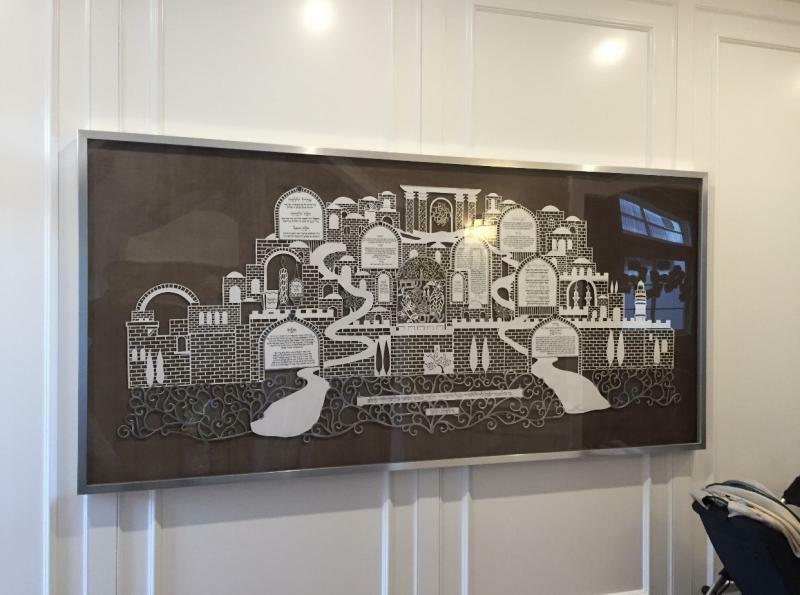 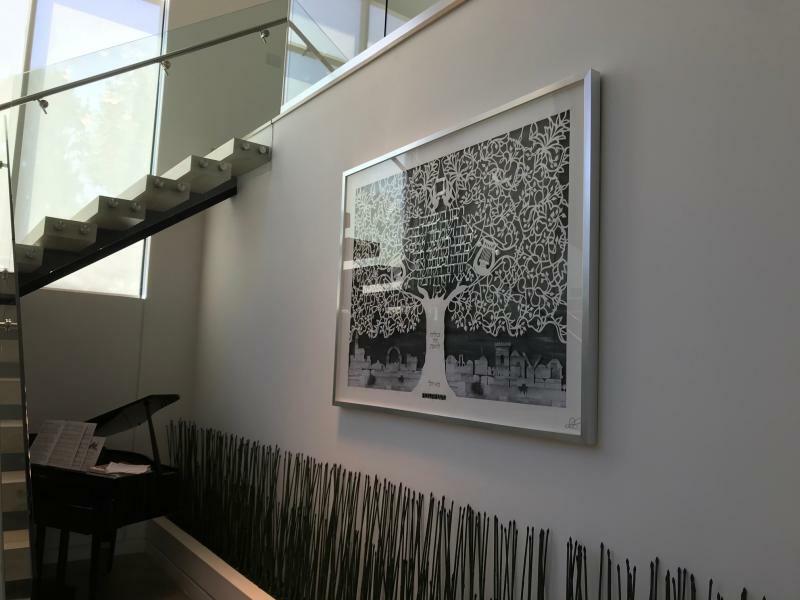 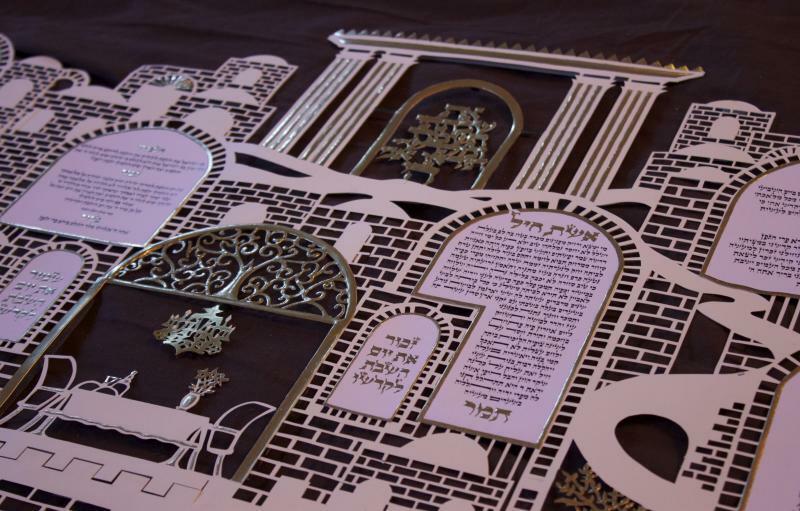 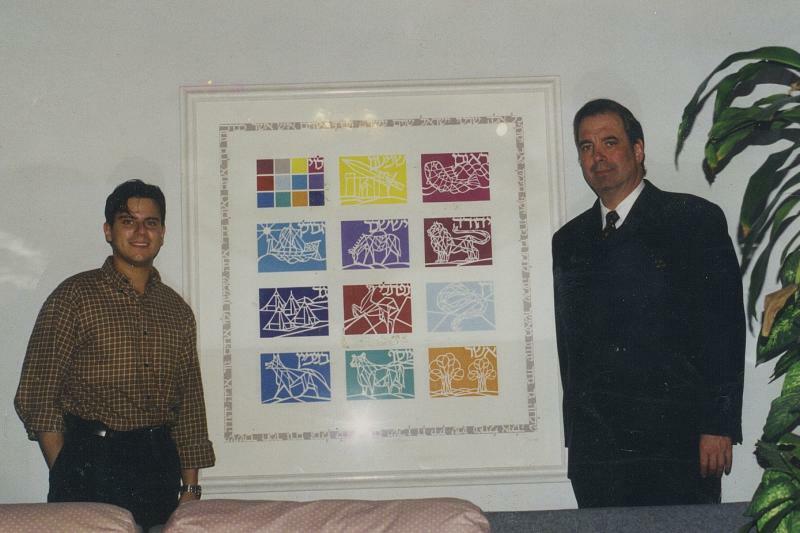 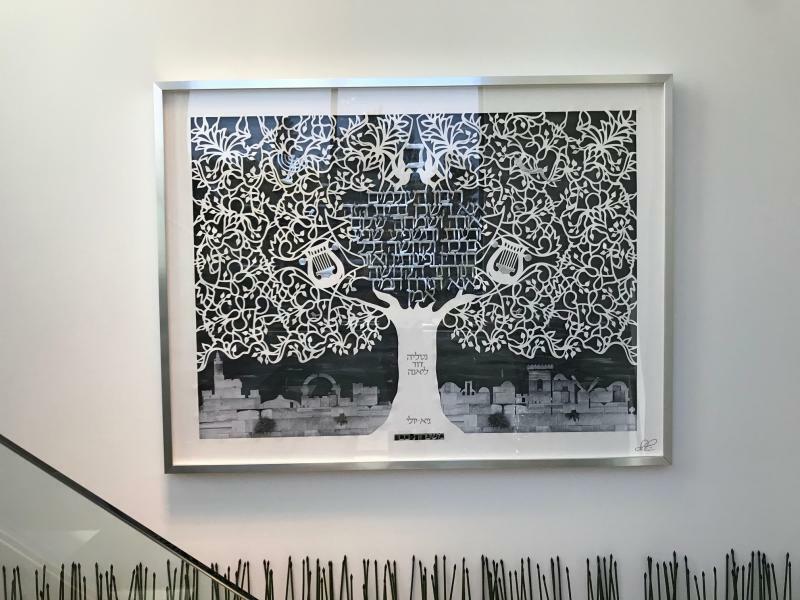 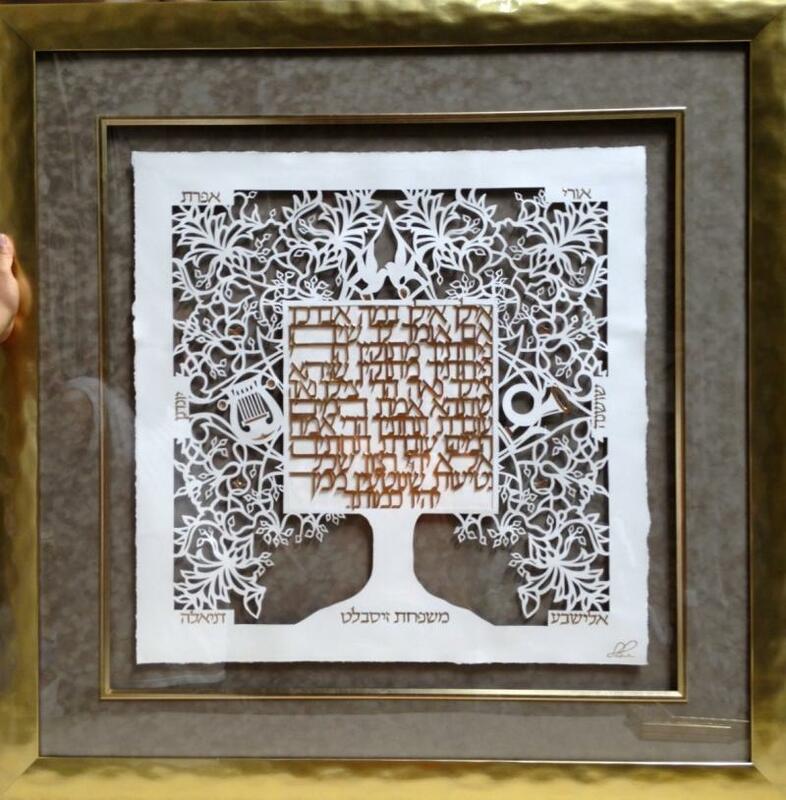 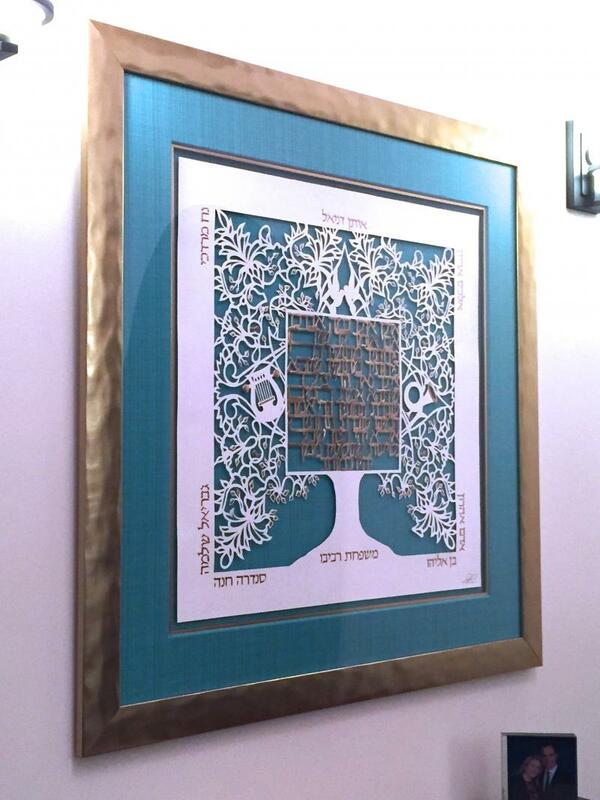 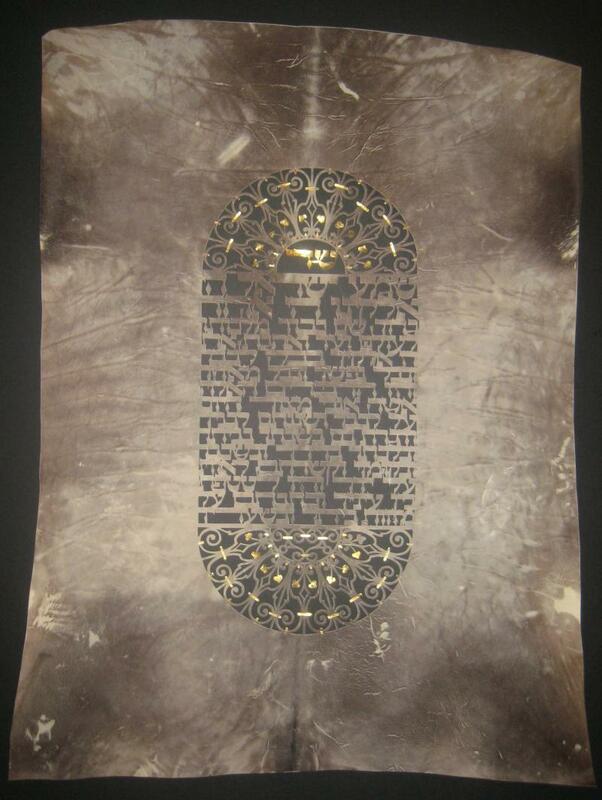 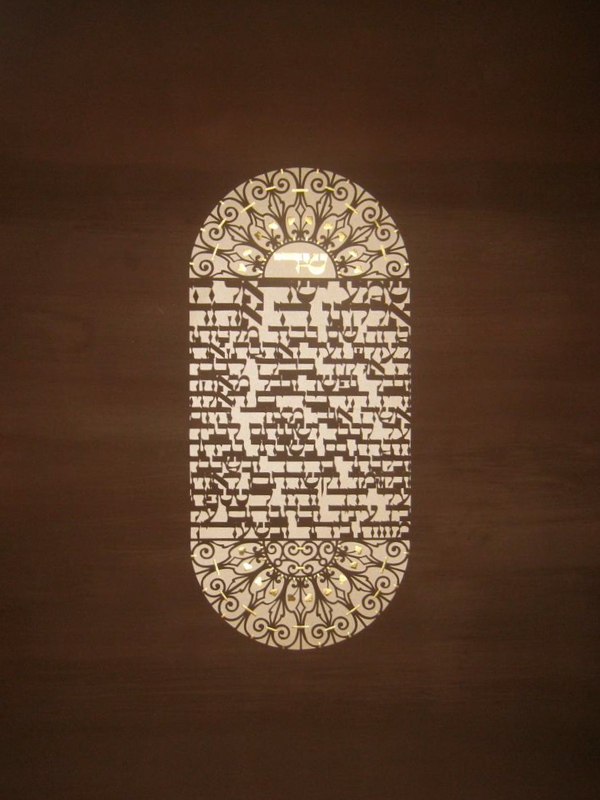 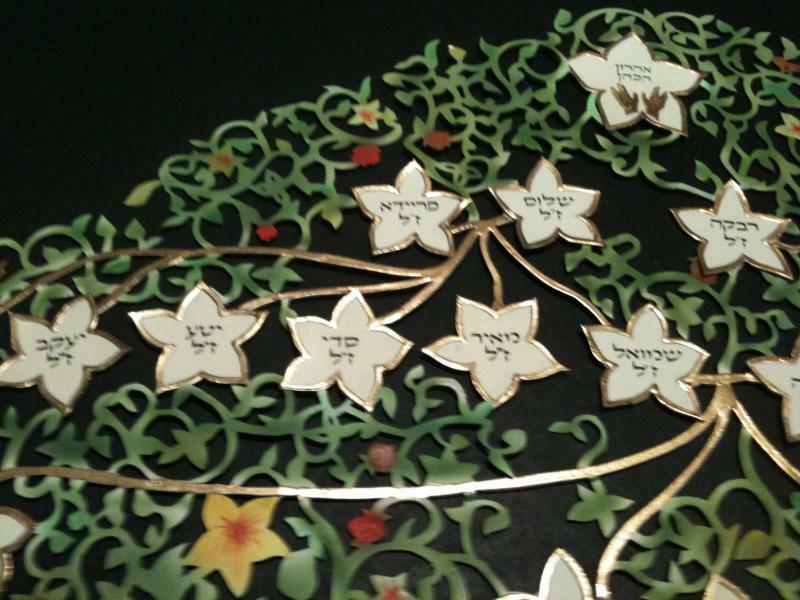 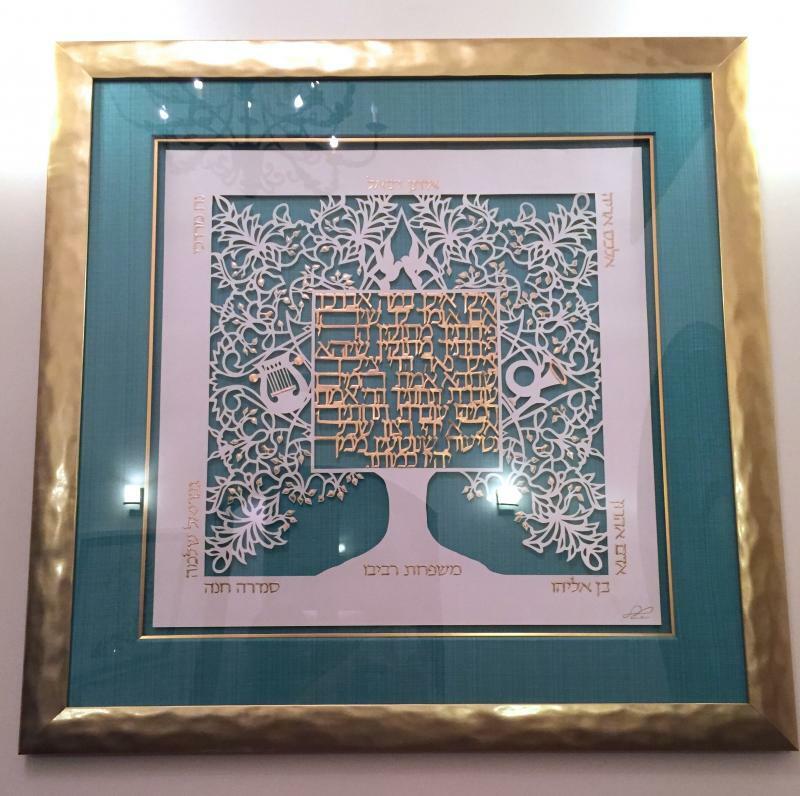 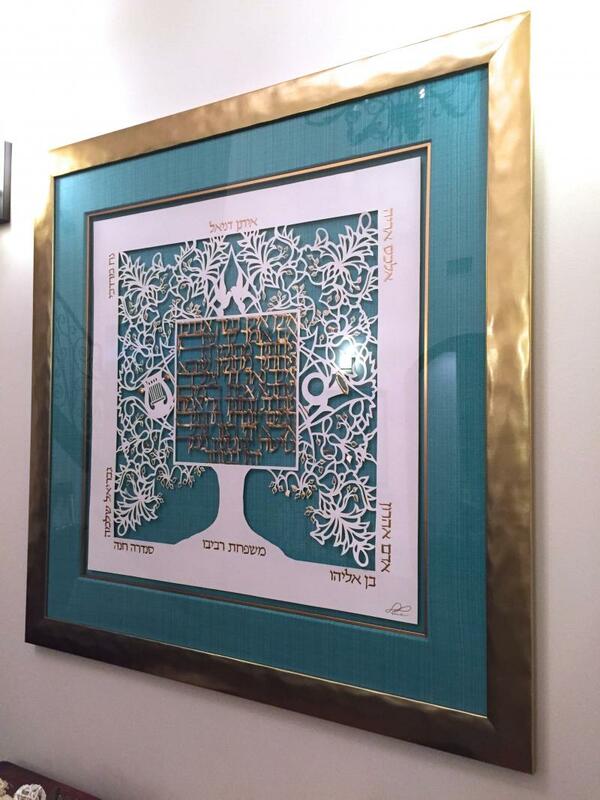 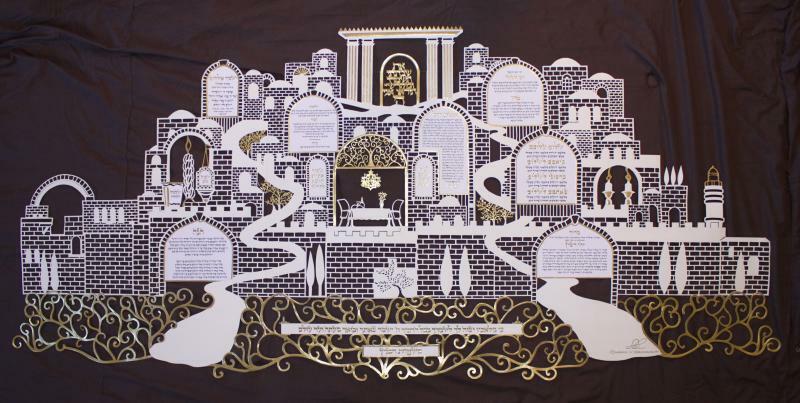 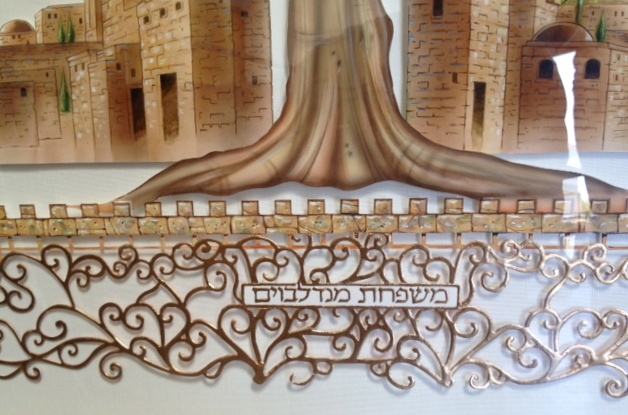 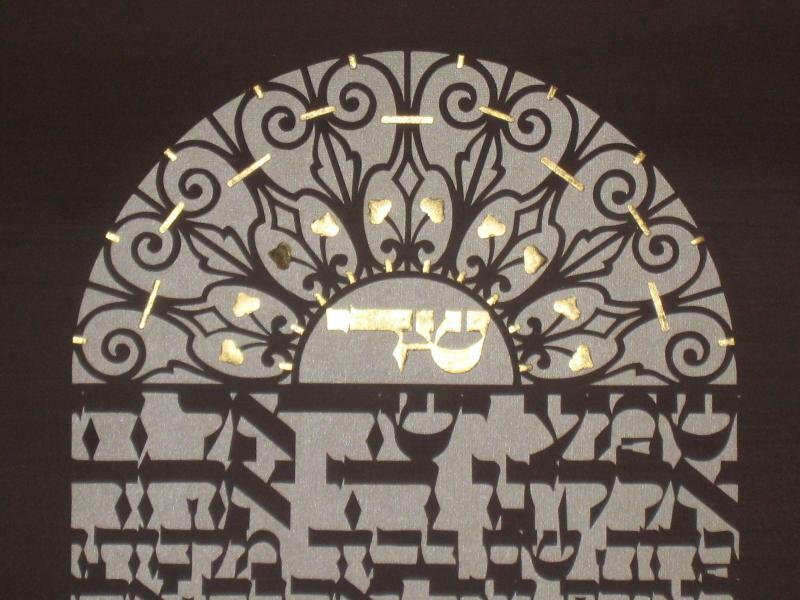 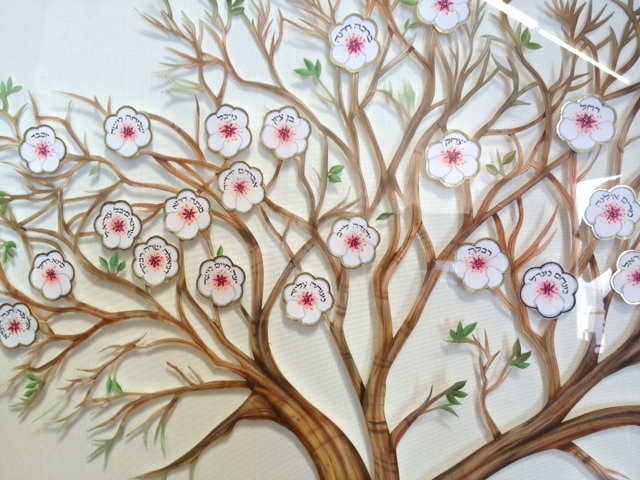 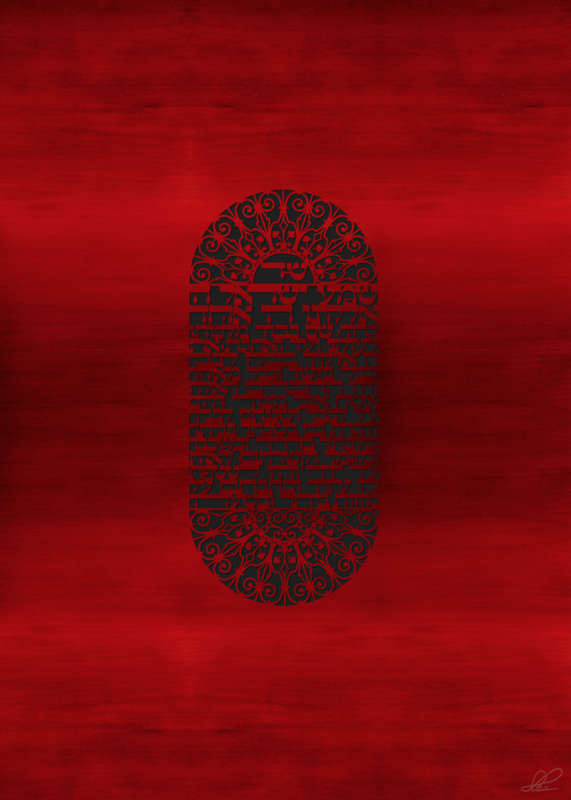 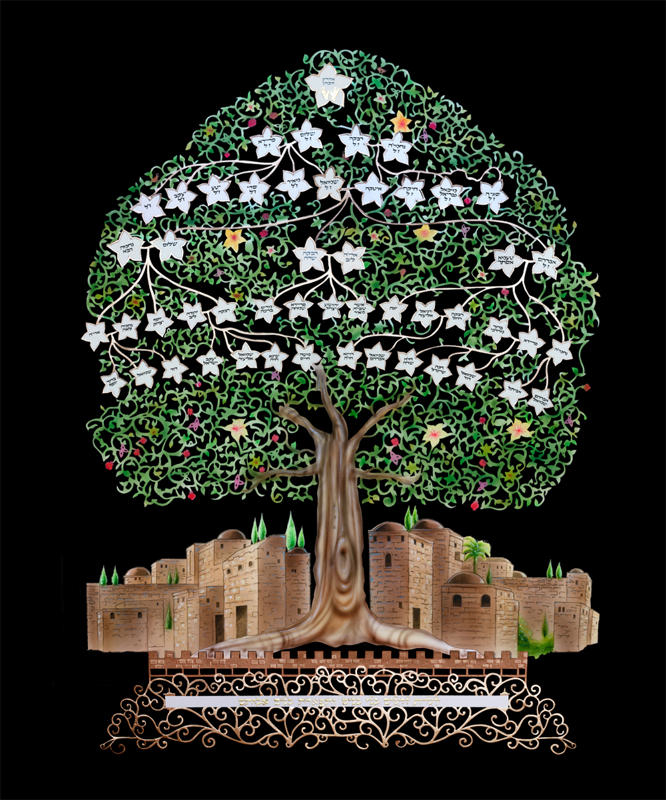 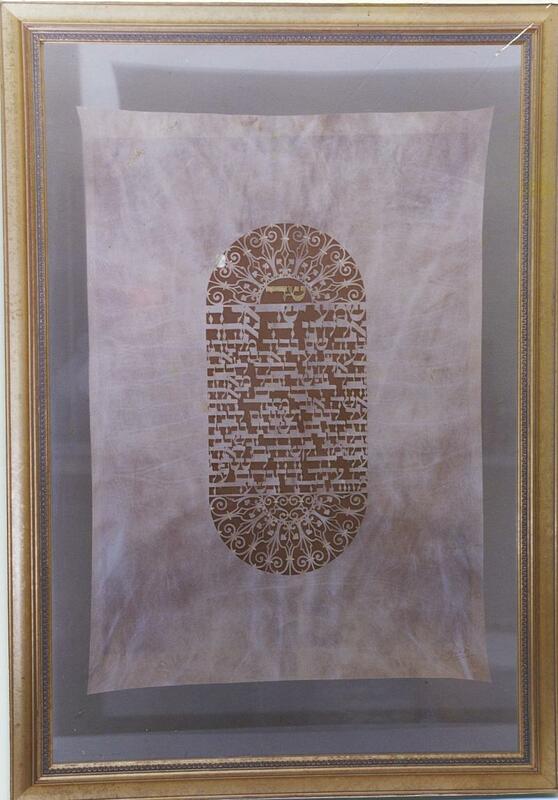 THIS IS A INTRICATE HAND CUT PAPERCUT WITH A HAND PAINTED BACKROUND WASH OF THE FIRST PARAGRAPH OF THE SHEMA. 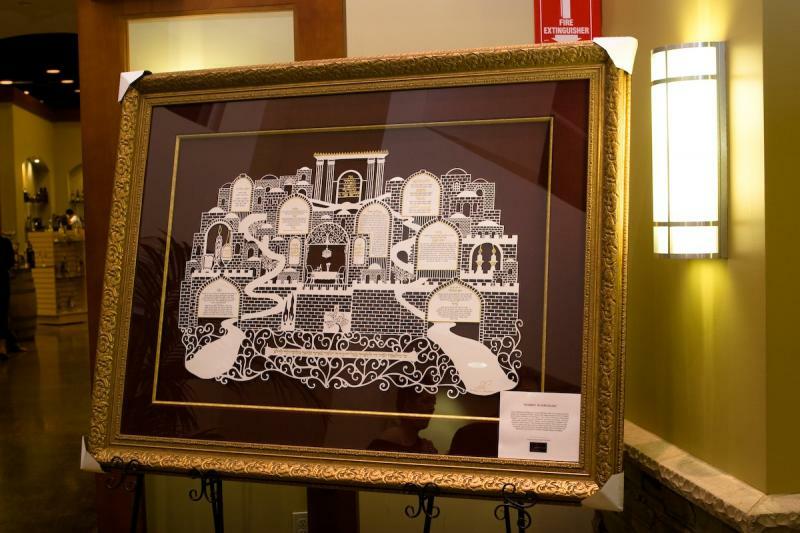 THIS PIECE ALSO CONTAINS 23.5 KARAT GOLD. 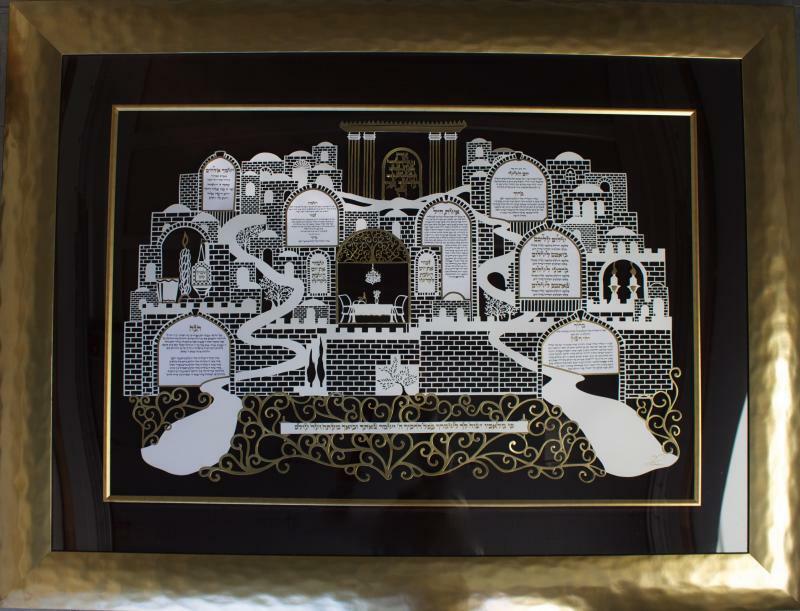 This is a completely original hand-cut papercut adorned with 23 karat gold. 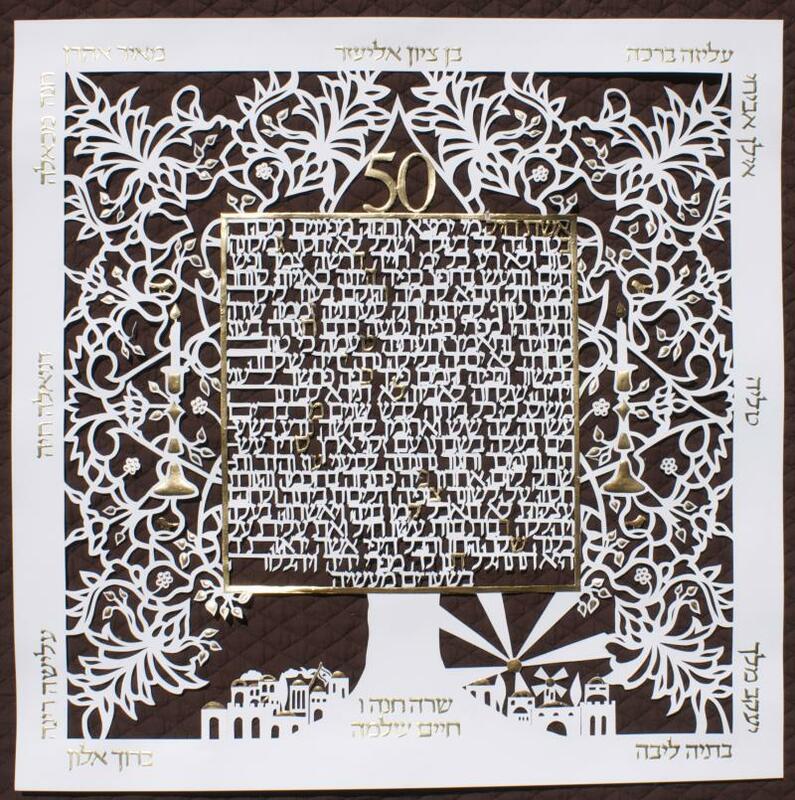 Only 50 will be created. 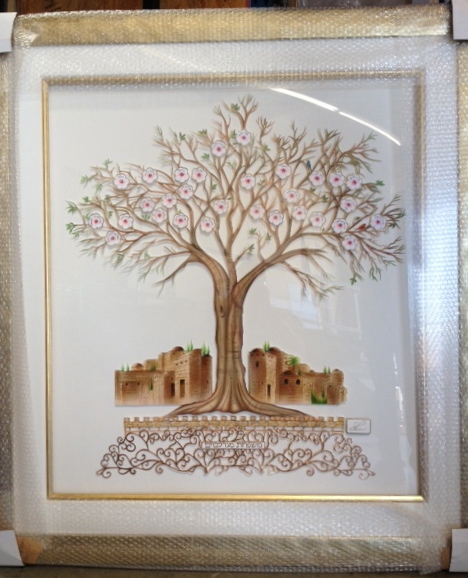 A REAL CONVERSATION SHOWPIECE FOR YOUR DINING ROOM!